Bhuj (Gujarat), Nov 27: Hitting out at Congress leaders, Prime Minister Narendra Modi today said those who cannot see beyond a family can do no good for the country. 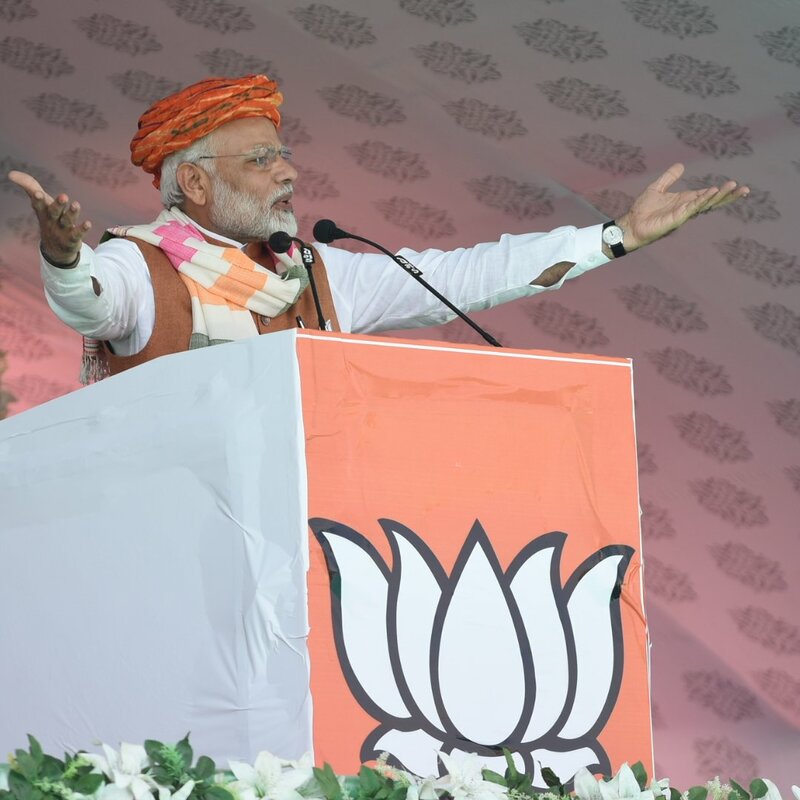 Addressing a rally in poll-bound Gujarat, Modi also referred to the charge against him that he had not mentioned the name of first Prime Minister Jawaharlal Nehru during one of his addresses from the Red Fort on Independence Day. "There was an allegation against me that you speak so much from the Red Fort, but why did you not take the name of Jawaharlal Nehru," Modi said. "I told my one Congress friend to carry out an exercise. I asked him to take a pen and paper and write down the names of all the All India Congress Committee presidents in chronological order. Those who do not know their party leaders, what are they going to do for the country?" Modi asked. "Have you ever heard the name of (K) Kamaraj from Congress leaders? Have you ever heard the name of Acharya Kripalani? Have you ever heard the name of Netaji Subhas Bose? Now when you are touring Gujarat you know the name of Dhebar Bhai, they would not know that they had a leader called Dhebar Bhai here," the prime minister said. K Kamaraj, Acharya Kripalani served as Congress presidents. "Those who do not want to see anything except one family, what good can they do for the country?" asked Modi. Modi was criticised for not taking the name of Jawaharlal Nehru during one of his speeches from the Red Fort on Independence Day. He also said the people of Kutch would not remember anything done after the Anjar earthquake that had occurred around 60 years ago when Nehru was the prime minister. "Around 60 years ago, Anjar of Kutch experienced an earthquake. Pandit Nehru was prime minister at that time and he had to come here," Modi said. "Do the people of Kutch remember any remarkable rehabilitation work done after that earthquake. Compare it with the work done by us after the 2001 Bhuj earthquake," Modi said.